Barleyfields, like all new developments by Taggart Homes has been designed with one thing in mind. Quality. Our mission is to set a new standard in Irish house building and offer the discerning buyer a better choice. To truly appreciate the lengths we go to, a visit to the show home is a must. Upon arrival, and before you cross the threshold you will instantly see the difference. The maturity of the new Laurel Hedging, the Wrought Iron fencing details, and the paved or tarmaced driveways all exude class. 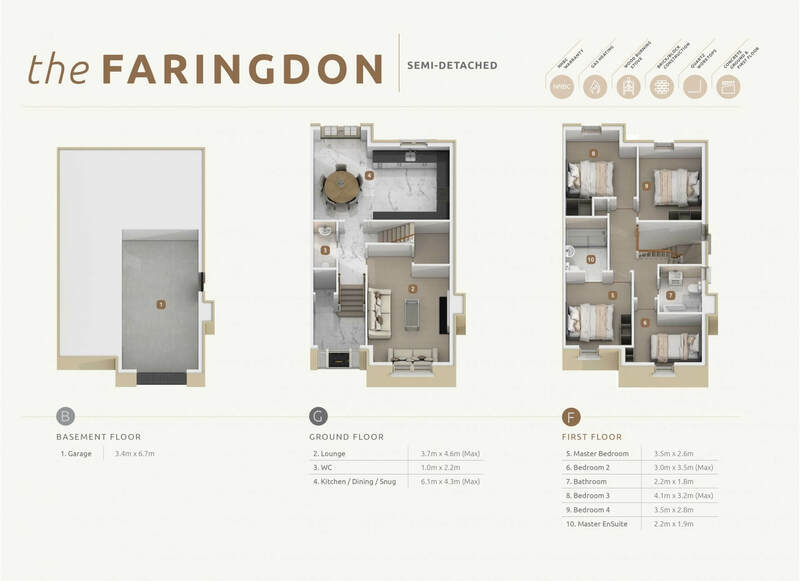 What is Unique about the Faringdon?